This is a large 8 x 8 RGB LED. This matrix can produce 64 Red, 64 Green and 64 Blue LEDs built into one common cathode housing. You can also mix the colors together to produce a lot more colors! 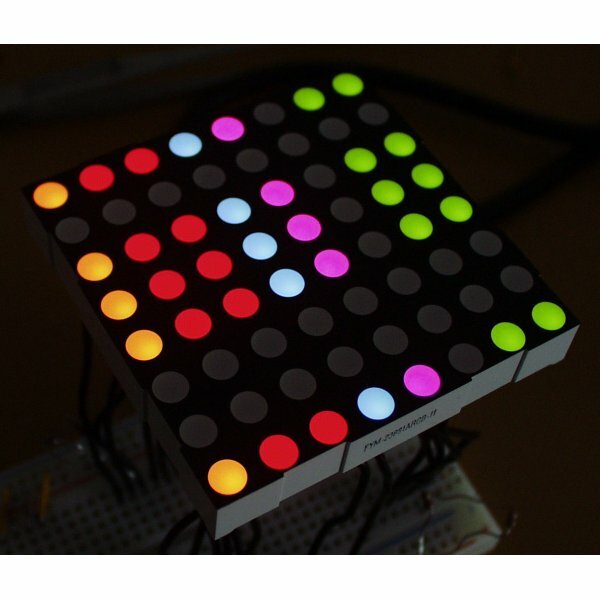 This matrix LED is really great for a project the needs bright colorful LEDs and have fun! 2.38" x 2.38" x 0.32"